Our Lawyer (Pty) Ltd introduced this Child Maintenance / Support Questions and Answers page for you to post questions you may have on the topic. For example, if you want to know how much child maintenance to claim, pose a question with some background facts. At the same time, should you be able to assist others who posted questions below, requiring some advice on Child Maintenance / Support, please proceed and reply to their comments. In that manner, we would all be able to assist each other and increase our online knowledge base. Therefore, although we a are legal consultancy, specialising in family law, you may have problems or experiences that we have not encountered. Let us share in our knowledge of Child Maintenance / Support. Want to know more about Rule 43 Applications in the High Court and Rule 58 Applications in the Magistrates' Court? Click here. There are various other family law resources on this website that you may find useful. For example, there is a downloadable child maintenance calculator. The resources may assist you with whatever questions you have, or information you require on Child Maintenance / Support. Therefore, after posting your question, or any time after, have a look at the useful resources and information on our website. Some of these resources are listed hereafter. There are a range of legal articles on this website dealing with various family law issues. Some of these articles are straight forward, outlining the legal position on a family law related topic. For example, how to apply for child maintenance, or how to get divorced. Other articles are written in the form of answering a specific legal question. For example, do I pay maintenance if I am unemployed, or what do I do if I want to leave the country with my child, and the other parent does not want to provide consent? Those articles are in blog format. This means that you are welcome to comment or pose questions to increase our knowledge base. The clear idea behind our website is that we want to make family law legal information more accessible and available to the public. Feel free to download these useful resources. Click on the links above, and complete the online purchase process. The purchase price is R 0. Thereafter, a downloadable link would be emailed to you. Once you received the email, download it as soon as possible as the link would expire after two months. We hope that we assisted you with any queries you had on Child Maintenance / Support. If not, feel free to arrange a consultation with us. If you find any of our articles and posts interesting, or possibly useful to others, please like and share it on Social Media by clicking on the icons below. Should you require any other legal services and advice, not related to family law, visit Private Legal. What is the amount of child maintenance a father should pay if he earns R 10 000? Thank you for the question. It would depend on what the needs of the child is, and the income / mean of the parents. If the child for example costs R 10 and both parents earn R 100, then in a perfect world, both should contribute R 5. The parents should work out what would be a fair contribution. If they cannot do so, then the Maintenance Court should be approached. Yes, you can approach the Maintenance Court. We advised you do so ASAP. I’m a 19 year old varsity student and my father has pretty much stopped paying maintenance for my younger sister and I. My mother once approached the courts with this matter, but nothing really came of it. I’d like to pursue this matter further, but I’m not sure how to proceed. My father is based in a different province altogether. As you are an adult, you would have to claim maintenance for yourself. In other words, your mother can no longer do it for you. You need to approach the maintenance court in your area to open a case and start the process. They would get hold of your father etc. That would be the first step. For your sister, assuming she is younger than 18, your mother would have to claim for her. If she is 18 or over, she would be in the same boat as you. I have a 17 month old and pregnant 7 months. The father does not have work and “suffering from depression” ie his excuse for not wokring. I am currently helping his parents to run their guesthouse and get R4000 a month. Other than that there is no income. This barely covers my son’s daycare, drs needs and out food. I would like to continue in moving forward without him, we are not married. What can I claim from him/his parents and how do I get him out of the flat we are living in as his parents are paying for that as well. You may take his parents to the Maintenance Court for support. They would assess the matter etc. Regarding the father, you would require an eviction order. It would be best to see an attorney to assist you with that. Seeing that he has been living there, the process is a bit complicated. I have been divorced for 8 years and have a 10 year old daughter from the marriage. My ex husband made me sign a maintenance agreement whereby he pays school fees (public schooling) and that it is. I paid the medical aid and all other costs. He paid 75% of the medical aid premium back to me. It was a comprehensive plan. He subsequently decided to put her on his medical aid, which is only a hospital plan and expects me to then pay half of any medical costs that we may incur, which I wasn’t happy about and it was also not in accordance with the maintenance agreement. Our income ratio is about 80/20 (his salary/my salary). He does not contribute to the day to day costs (rent, clothing etc) at all. She stays with him every Wednesday and every second weekend, and his argument is that he pays for the days that she spends with him (which comes to about 10 days max a month). My family is encouraging me to revisit the maintenance agreement. How do I go about it and will I have a foot to stand on? He should adhere to the Court Order. Both of you should. If you made a change to the situation, and it is not working or fair, then you may approach the maintenance court for a variation, or to enforce to current order. Either way, it may be a good idea to visit the Maintenance. Can father’s claim maintenance from mothers? I had agreement with son’s mother and he stayed with his mother. She married and that failed. Subsequently she dropped off our son at my parents without prior warning. I am married and have a daughter from this union and can’t afford anything more than what I was providing. In addition, we don’t have the space to have him stay with us. Further there would be expense of schooling which she had decided on. I’m also not sure if I can have him go to a school closer as I am not listed as his father, even though I had been providing some funds from before he was born. We were separate before he was born. The parent caring for the child can claim maintenance for that child from the other parent. Therefore to answer your question, it is possible to claim child maintenance from the mother. I had a son while being separate from my ex. We were not legally married, but married by Muslim law. She had not listed myself as his father. I had been voluntarily paying a some of money since before he was born, in support. She had subsequently remarried and later had his surname changed from her maiden surname to her new surname and had her new husband take on responsibility legally. Clarity with the Department of Home Affairs how the child managed to get her new husband’s surname. The mother may of said he is the father. Take it from there. Hi can I claim maintains for my kids if the father is deceased and we were not married. The kids are still under 5yrs, please advise. Yes, you may claim from the estate of the father. Hi, I am almost 4 months pregnant and have a 3yr old from my husband whom I was planning on divorcing before falling pregnant (note that we’re married by customary /Islamic law only) I earn a minimal wage as I had to leave my full time job to care for my daughter. Now, he earns approximately 25k a month but because of the debt he put us in, he says that if I divorce him, he won’t pay maintenance as he can’t afford to do so. Is this legal? He has a legal obligation to pay maintenance. If he does not pay, approach the maintenance court for assistance. Antonine I would like to know if it is ok to pay maintenance to an educational institute. We advise you to approach the maintenance court in your area and apply for a Maintenance Order. Good day. MY daughter aged 25 currently a student, has a child, 14 months old with a man she was in a relationship with. The relationship pretty much fell apart whilst she was in labour. Although my daughter has tried very hard to let him be a part of the childs life, he makes no real effort to act like a father. He has shown no propper interaction with the child and is in no manner suitable to take custody or have visitation rights on his own. He has maintained constant payments to my daughter to cover the needs of their child. He is demanding visitation rights whereby the child should spend weekends with him and his family as well as certain week nights. My daughter and i both feel that this is not wise as both him and his parents are not capable of looking after my grandchild. We both feel that the baby is still to young and that his personal wellbeing will not be maintained in the same manner my daughter does. please help as we cannot afford a lawyer at this stage but need the urgent advice. good day can i claim for the money i have stent to raise my kids with before i file for maintanence? Yes you can claim for past payment of expenses before claiming maintenance. You should include it in your application for a maintenance order. My Husbands 16 year old son who lives with the mother dropped out of school last year halfway thru gr 10 because it interfered with his bodybuilding career according to him. Now he sits at home not studying, not working just gymming. Does my husband still need to pay maintenance for him? If the child is still in need of maintenance then yes. Hi my partner paid lobolo in 2015 and we have two kids together last year bought a house and we live together recently things are not going well and i need to separate from him problem am not working am still studying wgat must i do to claim maitenance and medical aid for the ather kid as she is still young share of a house. Hi my partner paid lobolo in 2015 and we have two kids together last year bought a house and we live together recently things are not going well and i need to separate from him problem am not working am still studying wgat must i do to claim maitenance and medical aid for the ather kid as she is still young and as he pay medical aid for first born only. And what about the house does my children have a right for shelter? Please help me what must i do. Yes, children have a right to shelter. We advise that your approach the Maintenance Court in your area. Hi, my daughter is 19 and is working on a contract for 1 year overseas, can I stop paying maintenance now? If she returns after the year, do I need to start making payments again? Maintenance should be paid until a child is self-supporting. It therefore depends on the facts. My ex moved to New Zealand to work, no longer pays maintenace as per court order, is it worth trying to fight to get him to pay again? It depends if you need the maintenance or okay with living without it as opposed to claiming it from him. But if the kids needs it, then we advise that you approach your maintenance court for assistance. Good day. We advise that you speak to a social worker about this. We were never married, just engaged. I became pregnant fairly early into the relationship and stuck it out during the rest of the pregnancy. He became an abusive drunk and i was escourted out of our house with help of the Garsfontein Police Station in Pretoria.. he had minimal contact after that..2 and a half years went by.. he met a new woman.. wanted to see my son.. i allowed supervised visits.. eventually to weekends.. holidays.. this carried on for 3 troublesome years.. when my son turned 6 .. the woman left him too due to the same abuse. He dissapeared and we havent heard from him in 6 years.. my son is now turning 13 and heading for high school in 2019. He has never paid maintenance or any monies to anything all these years. Actually still ows me personal capital that he made me “invest” in his company which was liquidated years ago. I live in JHB and ive managed to track him to Western Cape area.. married with 2 kids. I dont have money for legal fees.. barely surviving as it is.. even under debt review and still struggeling even though i have a stable job that pays market related salaries. I cannot afford the highschool fees though.. can i claim atleast that from him or should i claim for 13 years worth of maintenance? I dont want him in our lives and my son is not interessted in seeing him. He has long term history with alcohol and physical abuse..but i feel that its only right that he takes some responsibility for his creation too. Good day. We advisethat you approach the maintenance court as soon as possible. It is up to you, but you may claim for maintenance since the birth of the child. Hi am 22years old am a varsity student I have a problem with my baby daddy me and my parents have been supporting my child since day 1 even now we still do the child is staying with my parents back home. The baby daddy when I ask him money for the child he only gives me 600 and whenever he wants when I tell him to buy our son clothes he doesn’t want I have to beg him and we end up fighting and we no longer dating his working so what should I do because am only a student and I don’t have any income the only income that I get its from my parents so what should I do with him should I go to the maintenance court and open a case for him because its been years his doing this we thought he would change but its getting worse what should I do? Good day. We had advise that you approach of the maintenance court as soon as possible. My husband have a son before we got married .He dropped out of school a few years ago and is now 18 years old.His working now and i want to find out if my husband must still pay his maintenance of which we deposit monthly into the Dept of Justice Bhorat centre account of which they pay it over. 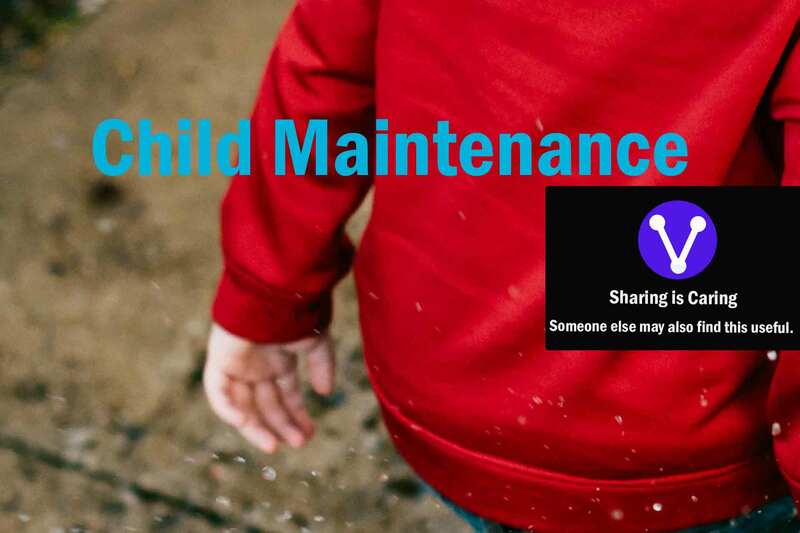 Maintenance ends when a child is self supporting. We advise you approach the court about the situation. They would advise what to do. I’m a Father of a four year old, my son has been staying with me Sense he was born me and his mother where not married or engaged. His mother is at school studying and she wanted maintenance, should I pay maintenance to the mother while I live with the child? If the child is living with you and you are paying all the expenses and the mother is incurring no expenses, then she has no case for maintenance against you. Even though your child is an adult, you still need to prove maintenance if she is not self supporting. On this issue, we advise that you see an attorney or the maintenance court. My husband has been unemployed now for 2years. Doctor medically boarded him due to his ill health. During the 8years of our marriage, he only worked for about 2years – during that time, he gave money for his 2children of his previous marriage. After he was boarded, he could not pay. Now his youngest of 18years old has taken him to court for maintenance. as he needs to sell the house that both him and his ex-wife owns and where they have been living from the time of his divorce, the youngest now wants about 80% of his proceeds of sale of house to further her studies at varsity. As he needs this money to afford medical help due to his kidney failure plus having a 5year old by me, is it possible for her to get this right in court? The Court would decide what is fair. We cannot say here what is possible or not. We advise you see an attorney on this issue or visit the maintenance court. You should then oppose the Application your father will be making at court. The court would decide if it is fair to stop supporting you. can I claim maintanance support while not studying? Hi there hope you feeling okay. i have a son who is now 4years old. i’ve been supporting my child since birth up until now doing my best to do things for him. i was working in a shop that sells cleaning product then, and last year the contract expired and then i got another job that i’m not permanent in to and its a job in a factory and the money that i earn is far less than what i was getting on the previous job. now the problem is that the mother of my child is sitting doing nothing in terms of finding a job to help me share the responsibilities of our child and when she wants me to buy food or clothes for the child i do my best to do that even though i’m suffering on this job. whenever i buy food for the child and bring it to her she always complains why don’t i give her money and i say to her whats more important, is it the money or the food that the child wants. another thing is that i told her long time ago that i don’t always have money so when she wants something for the child she must tell me in advance so that i can have time to make a plan to get what she wants, but she always tell me today that the child doesn’t have this and that and expect to get those things the next day, when i say to her i don’t have money then she becomes rude to me and say mean words to me whereas i told her she must alert me in advance that the child wants something. she doesn’t even look for a job but now when i dont have money she intimidates or blackmail me by saying she is gonna take me to court, i dont know what to do anymore, please can you advise me on what must i do please. i also have a family in my village that dont have someone working so i also have to buy them grocery there and then and also pay my cousins transport fees to college from the village to town but i never neglected my resposibilities as a father to my son but what i see is that the mother of my son is only thinking about money more than anything. We advise that you pay what you feel is fair and reasonable. If the matter is unhappy with it, she must take you to court. The court would then decide on the matter. I’ve been paying maintenance for a child that my ex now admits is not my child ( We got divorced due to her infidelity). I’ve been paying for the last 5 years. She refuses to get a blood test, how can I get one done so that both I and the child know the truth? Good day. You need to approach the Court. Best to speak to a lawyer. My husband and I have been paying maintenance for his child. We pay the school fees R60,000 and we have given the child and mother a place to stay rent free (market value R7,200) The child’s mother says the child’s needs amount to R12000 per month of which she says she can only contribute R3000 and requires us to top up the balance. The mother’s salary is R18000 per month. Is this a fair way to distribute maintenance. My husband earns $7000 before tax (zimbabwean) and after expenses which includes mortgage for our house ends up with $800. It is hard to work out child maintenance amounts without knowing exactly what the needs of the child is, and the exact income and and expenses of the parents. However, you should contribute as per you means. Hi. I am 18 years old and my father doesn’t assist my mom in any way since I was young but he is extremely well off. I just need him to pay for my tuition fees. Please advise me on how I can go about getting him to assist me legally because he is full of empty promises. Good day. Approach the nearest maintenance court in your area. If you do not know where it is, visit your nearest police station. They would advise you. Hi At the moment I am paying for all my stepdaughter’s expenses. My husband’s business is in financial trouble and the mother is a bar lady. Can I go to maintenance court myself or should my husband, even though I pay for everything? The mother does not contribute anything and is not willing. How will the maintenance court determine her income as she receives only cash tips which cant be proved? Hi, I suggest you husband goes. Unless you have proof of the mother’s earnings, they will take her word for it. He still needs to pay it. If he does not, you would have to contact the maintenance court in South Africa and ascertain how they would deal with it. 3 months after the birth of my son i went to apply for maintenance against the father and the judge couldn’t give me an order because the father doesn’t work so my question is can i not apply for his mother to pay the maintenance because we are both still being maintained by our parents? Yes, you can claim from the Paternal Grandparents. Good Morning, my daughter is 27 years old and has a two year daughter. She never married the father. They live seperately. My granddaughter lives permanently with my daughter and she is the main provider. The father has a gardening business and all his payments are recieved in cash from his customers. The maintenance court has ordered him to pay interim maintenance of R1200 until the next court date, as the father said it can be reviewed again then to be increased to R2500. The 1200 does not even cover daycare fees. The father is now saying that he cannot afford to increase the amount as his gardening business is in a slump due to it being winter. He is at home during the day and, i feel, that if this is the case, he should then look after the child to take the financial burden off my daughter. Otherwise he needs to find a more permanent job in order to contribute his portion sufficiently. Is my daughter correct in suggesting these options to the maintenance court? 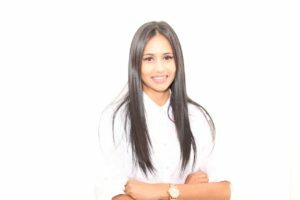 Can my daughter take the paternal grandmother to court for extra maintenance to cover what the father cannot pay? Because the father is paid in cash 99% of the time, his bank statements show that he does not earn enough to barely cover the R1200. However, we have proof that he does. Please kindly assist. Eagerly await your response. She can bring up the arguments of him caring for the child or looking for a job etc; and the father will respond. The Court would then decide. We do not want to guess what the outcome would be. Yes, she can bring in the paternal grandparents into the picture. If you are not self supporting, you can claim from him. A family member is heading into this mess, the child turned 18, the money needs to go to his/her account but if that happens, he/she will not pay anything towards living costs, the guardian will have no financial support to look after him/her. Now the big problem, he/she does not want to work, he/she does not have matric and although he/she says that they want to study to finish matric…until now does not have “time” all efforts to assist have been shown the door. So there is no effort from the child to become financially independent, there is no effort to study to get matric and gain financial independence, he/she is not willing to assist financially towards living costs. The guardian does not have the financial income to support the child if part of the child’s maintenance money does not assist with living costs, what does the guardian do? It would be best to speak to the Maintenance Court about this issue. You need to approach the Maintenance Court ASAP. You can claim support from him if you are not self-supporting. We advise you approach the maintenance court. Good morning. A girl 21 years of age, still living with her parents and a student. She was chased out by her mother as she claims the daughter is the cause of her psychological problem. The dad is not doing anything. The girl would have been on the streets if we did not take her in. Can she claim maintenance, as she is a student and were still living at home? She does not even get pocket money. She is on chronic medication, that we are paying at the moment. We advise she approach the maintenance court. Just a background story of my issue. I used to work abroad and paid maintenance regularly. I came back towards the end of 2016 after my dad passed on and reported to the maintenance officer on a regular basis as I was then searching for new employment here, after 19 months of continuous searching for work I finally got employed just to be dragged to court next month to appear before a judge for arrears on maintenance the maintenance officer changed in the mean time. No one also ever informed me that I can apply for pause in maintenance order or lowering the monthly payment there of until 2 months ago when I did so. I got offer for work on the 25th of May late afternoon and I was asked to start that Monday 4th of June, I called thy maintenance officer that same Monday just to be told that no one reported for work, as I was new in the company I had some training that Tuesday and asked my wife to call the Wednesday to inform her that I found employment just to find out a summons has already been signed by the judge for me to appear in court. As a father I would say that the maintenance act does not consider us at all and as I know the complainant extremely well she has and try to make my life as hard as hard as possible when it comes to this matters. We were never married or dated exclusively, I have however got married and has 2 other children with my wife and she supported all of us while I was searching for employment and the complainant made it clear that she does not care about my other kids as long as the first born gets all the rights and it was never even disputed by the maintenance officer as to this matter so in short my other children whom are younger needs does not have to be considered. My question is how can protect myself from behavior like this when it comes to maintenance. The best for you to have done was obtain proper legal advise and apply for a discharge or variation of the maintenance order. We advise you do so, or if circumstances changes. I Have a baby of one year and six months and her dad is a prosecutor he is suppose to pay R5000 per month for maintenance but every mont i have the problem that he only pay R2000 for the nanny who is looking after our baby and the rest i must back and plead and then he is not paying the whole amount i went to Kuils River Court for a garnish order a month ago but nothing is happening and i am a single mom and it is hard for me to cover everything because i have an teenager daughter also and is busy loosing my flat because i must feed my children and my petrol money for the month is R2000 just to get to work and drop off my one child at school. Can you please advice me what to do because he is telling me that i can do nothing to him the clerks who is working at the court is mickey mouse people and he is and prosecutor nobody can do him anything. We advise that you complain higher up in the ladder of the Courts. Speak to Supervisor, or go to the Director of Public Prosecutions Head Office. You need to approach the maintenance court that made the Order. Take proof of unemployment. Good day my baby of almost two years father is an advocate he does not want to support his child.He wants to give 500 or 600rand when it suits him.I Am doing my best to provide for my baby but i don’t earn enough, because i am a student and only receive study allowance.I want to know what is my rights, because he told me that i can take him to court and see how far i get ,because i have to remember he is an advocate and he will get away with everything.I don’t have money for lawyers and i have to borrow money each month to provide for our baby.I just don’t think it is fair.He told me i am more then welcome to go to maintanance court ,but he can guarantee me that i will only waste my time.How can somone who knows the law do something like this to his own baby?Pleade advice me on what to do i did go to court,but i am still waiting on a date.He did’nt support her since se was born so can i claim for all the months that he has not contribute anything towards her? Good day. The Court looks at what is fair, and not the profession of the parents. We advise you proceed to court with proof of income and expenses and present your case. My baby mama took me to maintenance court; going for court in August. I earn R12000 take home, per month. The mother is unemployed and my total expenses monthly is about R10000, how much should i be expexted to pay monthly? I only stopped sending money about 5 months ago. Since birth i was doing well. If the mother is not earning any income, then the maintenance obligations falls fully on you. She should still try to find some form of income. It would not be in the child’s best interest if a parent has an income, and does not support him or her. Therefore, for now, you should pay all the expenses, based on your affordability. Good day. I’m a 28 year old female living with a disability so it is difficult for me to find a job. I have a 9 year old son. I have been trying to talk to my son’s father to help take care of my son but he never does. Since I am not working, my mom and sister help me support my son. What do I need to apply for a child support? You need to approach the maintenance court as soon as possible to obtain a maintenance order. i have a 17 year old son , that I’ve paid for since birth with out having my surname , i have never once missed my payment and concede that the arrangement we had was a mutual one and that i would always pay in portion to the school/her as well as have him on my medical aid,she has threatened that if i don’t pay i don’t see my son, last year with out my consent or my knowledge she removed him from school and moved 40km away and then subsequently another 200km away with out telling me , i took it upon myself to stop paying maintenance due to the fact that he now works for her company , i opened an account under my name and put funds on there every month for his use only(she draws it for herself)…….im wanting to find out if what she has done is legal and if I’m still obliged to pay seeing as though he’s employed by her on a full time basis…………i don’t get to see him when he is in town he never wants to visit or stay and the abuse i receive from the mother is pushing me to the point of cutting them off permanetly. Good day. If your son is self-supporting, then there is no need for you to maintain him. You need to determine that. Is it possible to claim maintenance from my boyfriends wife as he is currently unemployed? No, as she is not related to your child. Hy…Im a 22 year old currently studying LLB through a bursary which covers only 70% of my fees..
For other needs I’m being assisted by my aunt as my mom is currently unemployed..
My dad had played a maintenance of about R500 while I was still a minor..eventually he stopped when I was 19.His reason being that ”my mom’s family is preventing him to act his part as the father nd that they interfere in his businesses”..
My dad is an occupational health-science practitioner nd earns about R35 0 00 p/m..
On the other hand,my total expenditures is R4000 pm…How much should I claim,should I decide to take him to the maintenance court ?? We would also have to look at your dad’s expenses etc. The best is to claim what you need and let the court decide what is fair after everything has been disclosed. We advise you approach the Maintenance Court immediately after the child is born and lay a maintenance complaint. Good day, my daughter is 21 years old and a 2nd-year student at varsity college. Her father and I have been divorced for almost 13 years and she lives with me. I see to her basic needs i.e. shelter, food, clothes, books, transport, etc. whilst her father undertook to pay her college fees. He stopped paying maintenance when she turned 18 and gives her no pocket money. He also took her off his medical aid. For the last few months, I have had to constantly nag him to pay her fees. He now says he won’t be able to pay it much longer. What can we do? Can she take him to maintenance court? I cannot possibly afford the fees as I really struggle financially. I do not get a cent from him either. She needs to take him to the maintenance court as she is an adult. Good day, I have a daughter which is 14 years old and the father never paid maintenance, I’m are not late to report him for maintenance? You can still approach the maintenance court until the child is 18. Good day. As you are 18, you are an adult, so your father cannot take your mother to court in relation to you. You no longer a child. You can take him to the maintenance court should you wish. Good day i have a child and the mother wants me to pay maintenance i just got an internship and am earning R3500, how much can i pay? The amount would depend on the needs of the child and your expenses. Speak to the mother and pay what you can afford. Offer a reasonable amount based on the child’s needs. I am the uncle of a 7 year old boy. My sister does not have a job but contributes to the child with what she can. Both my parents are now being summoned to court to pay maintenance. My parents are devorced and I contribute to both of them financially on a monthly basis to make ends meet. Can it still be expected of my parents to pay support? Can the father of the child sue me for maintenance? What is my options. The court should first attempt to claim maintenance from the parent. If the parent cannot afford, or unable to provide enough, then the grandparents can be approached. Either way, the court would apply the law and decide what is best for the child. But can the father of the child sue me in order to pay maintenance? Good day..My daughter is six months now and the father never supported her since birth He is now working as an intern for a government department nd is eaning R6000 a month, should I go to the court if he is not permanently employed? You should go to court now. No need to wait till he is permanently employed. The child is now an adult. The father would need to discuss that aspect with the child. Hello, I live abroad and pay maintenance for my daughter in SA who is now 19yrs old. Should I be paying this into her bank account now rather than her mother’s? My daughter has decided to ignore all contact from me in recent months so I cannot discuss it with her. I know she is not in full time education and is working part time but not sure to what extent she is self supporting. Any advice would be appreciated. As your daughter is an adult, issues of maintenance need to be discussed with her. Paying it into your daughter’s account may be a good idea. The school contribution vs the housing contribution is about the same, the housing cost is a little bit less but I get that I have to contribute more seeing that I earn more than her, and she does not contribute anything towards their medical. What will happen when she moves in with her new partner and her housing cost will then considerably come down and her contribution towards our children will be less. Can I at this point argue that this is the case and that we must re-look at our maintenance order? I am not asking for her new partner to contribute towards my children, but when this happens my ex-wife’s expenses will be less. Both parents should support according to their means. You are rights, if there is a change in expenses, maintenance should change accordingly. You can, therefore, approach the court for a variation of the order when her expenses decrease. I have a maintenance order with the father of my child. My child with him was his first born. His ex wife then got a maintenance order with him for their 2 younger children. He now wants to reduce my maintenance, in order to meet the ex wife’s new maintenance demands. Does his First born child get priority? or is priority given on first maintenance order made? Please advise. Not child get’s priority. The court would have to make a fair maintenance decision. my husband pays 5000 maintenance to his ex . He just settled on that amount as he felt his kids needs a good life. Now the ex is sending both kids to private schools and expects him to pay half of everything which amounts to R7000, which he doesn’t have that kid of money. He pays his due in our household but he also has to take care of them when they with us. his ex bought a brand new car, went on holiday with the kids and is now sending the son overseas. She now lives with her bf and has not advised him of this change. She made plans without his knowledge for the trip and said after a while im only advising you since u have the need to know . They went to the family advocate who was very biased and send he must just do things which he didn’t commit to , She is always buying clothes every week and i honestly buy his clothes and my daugthers, buy his kids presents and take them out which is hard in these tough times. She is very demanding and also doesnt have him on time or discuss but expects him to do. Your husband must pay what he can afford. If she feels he can, then she must approach the maintenance court and they would decide on the matter. You need to approach the maintenance court in your area to file for child support. I have 4months old baby, which her expenses are up to R3000 monthly. I’m in an internship getting paid R3500 monthly. Her father is also an Intern getting paid R6000 monthly. He only gives me R1000 for the child telling me that’s what he can afford. It barely meets the child’s needs I have to ask for assistance from my parents hence my stipend can’t provide for the child’s needs. Am I entitled to claim him maintenance of R1600 while u contribute R1400 to cover all the child’s needs? A parent must pay according to their means. If he cannot afford to pay more, you can ask the court to claim the additional amount from the grandparents. I have a daughter of 18. she fell pregnant, informed me that she and the boy who is earning a salary planned this, and moved in with him. He forwarded me a message to not bother them and keep my money (monthly maintenance payments) as he and his family will in future provide for her. She has broken all contact with me (changed her cell no). Do I continue to pay the monthly maintenance after this happened? Your daughter is an adult. It is up to you to decide if you want to pay it or not. A parent should pay according to their means proportionate to the needs of the child. One also needs to look at assets the parties own. Work out the expenses of the child, and then proportion the income of you and the father to it. You need to speak to the Maintenance or Family Court in Zimbabwe. One would have to study the Order to give a proper answer. However, it seems that it an issue that must be argued before the magistrate if there is a dispute. We advise that you meet with a lawyer to advise you correctly on the situation and then take it from there. If it is included in maintenance, then you may want to consider varying the Order. I’m in urgent need of advice. I have a maintenance file open for my child’s father in the Free State and have relocated to KwaZulu-Natal about 3 months ago. I’m currently paying for everything from doctors, school fees, clothing, rent, food etc! The father was recently boarded but continued to work even so. His mother is working, his girlfriend is working and his father receives two pension funds and I cannot for the life of me understand how he cannot even afford to buy my son a t-shirt but he lives a very comfortable life at home with his parents while I struggle each day to make ends meet??? He threatens me often if I refuse to let him see my child, I paid R7000 to get my son to his dad and back over the holidays which he agreed to pay me back for and so far has only paid half and again no maintence has been paid for a full year…. My son does not want to be with his dad and they have caused so much heart ache and strain for myself and my child and I have always paid more than my share even when he did pay maintenance. My child has been injured in their care on one too many occasions which lead to my son being hospitalized and me once again paying all the bills! I worry for my child’s future as I am not able to save any money for him with all these incidents one after the other. Does my child’s father have any rights at the moment as I have evidence to prove my statements and I am a fit mother. The thought of him trying to take my son away is so stressful even though I know he’s in the wrong. Unfortunately, you would need to apply to the Court where you reside or work for the child maintenance. If the father wants to have the child, he would have to apply to the court. The court would then decide what is best for the child. 1: What legal recourse can be taken for current maintenance obligation by my child’s father, which is now 2 months overdue. Additional registration fees, new uniforms etc for my son were not contributed to either, and this is also stated in the attached. Currently resides with his biological mother, and she pays for all his housing, food and travel costs. as well as the current legal maintenance agreement in place which I would like amended. Yes, we advise you to approach the Maintenance Court as soon as possible. They will provide you with the necessary forms and start the application. He needs to go to the Maintenance Court. We do not want to guess what the court would say or do. It is best to speak to them. I have a question regarding a change I would like to make on the court order for child support. On the court order it states that the father must keep our 2children. Aged 3yrs and 4months. On his medical aid. Which neither he or I had a problem with. But the plan was just a hospital plan, No doctors are covered and the hosp that I have to go to in the network is very far from where I stay. I explained this to him and he agreed to change it effective Jan 2018. He did change the plan thats not the problem. But the Med Aid never corrected it. Where stil just ons the hosp plan. Now when I ask him if he could please help me sort it out so that I can take my children to the dr for medicine. He keeps telling me that he is buzy and wil do it when he has time. But he never gets around to doing it. I phoned the Med Aid myself but because im not on the plan I cant do anything. What I would like to find out. Can I ask him (due to the fact that hes very buzy and cannot sort out any medical issues) to give me the amount of money that he would have paid for the kids on his medical aid. So that I can take out a new medical aid for the children that covers all the dr and hospitals. And if there are any problems then I can sort it out myself. Without having to bother him with it. He has a very.busy job and doesnt have time to do these things and this makes it very difficult for me when the children get sick and has to be hospitalized. Or can I take out a medical aid for the children and then put his account as the debit account with his permission of course. I just want to know if I can ammend the court order like this and wil he stil be legally bound by it. So that he cant come in a couple of months and stop the payments? And do we have to go back to court to do so? You and the father can come to an agreement regarding medical aid payments etc, but for it to have legal effect, you would need to have the order changed at the maintenance court. If you believe there will not be issues, then the arrangement is in order. If however, you foresee issues, then approach the maintenance court. Thank you for the feedback, may I ask just one more thing. If the father goes to a police station and makes an affidavit stating the change on the court order. Is it possible to do it this way or do we have to go back to the court? Is a police affidavit legally binding? I have a 16 year old daughter who impregnated by a 27 year old. The mother of my daughter told me he is supporting my daughter and her child. Am I still liable for child support or can I stop it? You still have an obligation to support your daughter until she is self-supporting. You must find out by her if the father of her child is properly supporting her and she is self-supporting. Hi my son aged 22 now just dropped out of Varsity due to poor performance. I have stopped maintaining him because he resents me and is no longer studying. Am I defaulting? If there is not an order that you should pay, then you are not defaulting. However, he needs support until he is self-supporting. If there is an order, you need to apply to have it canceled. He can approach the maintenance court for an order if he is not self-supporting. My ex wife is unemployed and has primary residence for my daughter. I contribute financially for every need of my daughter and my ex wife only looks after her and provides her with a roof over her head. Can my ex wife just refuse to take care of my child any further and not provide any support to my daughter? We advise you take this issue to a social worker. A parent cannot just refuse to care for a child if they have always done so. If she cannot afford to pay maintenance, then the other parent must provide. She must however try hard to find employment.